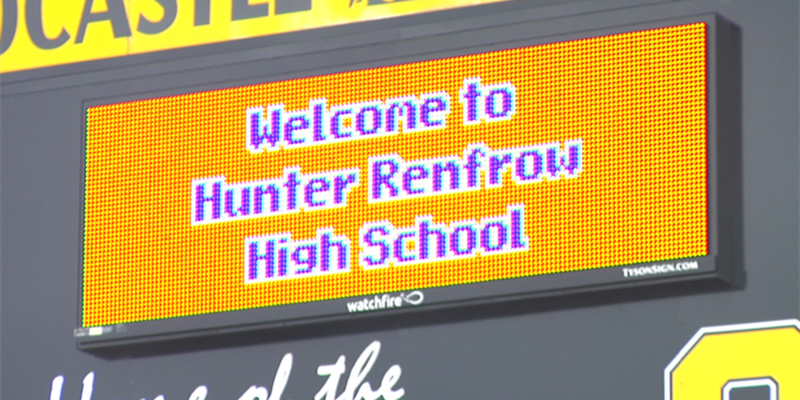 HORRY COUNTY, SC (WMBF) – Socastee High School became "Hunter Renfrow High School" Tuesday in honor of the graduate's win over Alabama in the national championship game Monday. Renfrow, a Socastee native, caught the game-winning catch, giving Clemson a 35-31 lead in the last second of Monday night's dramatic game. Monday's win gave Clemson its first football championship since 1981, and the second in program history. Renfrow graduated from Socastee High School in 2014, where he played for the Braves as a quarterback. Renfrow was also featured on the cover of Sports Illustrated magazine for his game-winning catch.